Leading print organisation Barthel Group has added three HP Indigo presses to its production portfolio in an effort to keep in line with the latest developments in the label production sector and enhance its digital printing capacity. The group has taken on two HP Indigo 6900 presses and one HP Indigo 20000, increasing the total number of HP Indigo print machines now in place across the business to nine. Barthel produces around 270,000sq m of labels every day at its four locations in Germany and the Netherlands, and the new HP Indigo technology will support this expanding operation. Speaking to FESPA.com about the triple investment, Mischa Barthel, managing director of Barthel Group, said that the group has been working with HP Indigo for more than 10 years now and is familiar with the benefits this type of kit can bring to production. “We see continuous improvements when it comes to tools for optimising workflow,” Barthel said. “We are not only satisfied with the printing quality, but also have had an excellent experience with the support from HP, both on the technical side but also on the business development side of our business. In terms of how the new HP Indigo machines will specifically help the business, Barthel told FESPA.com the group had been experiencing a continuous decline in run length, while customers have been demanding shorter delivery times, and the new HP kit will help meet this demand. 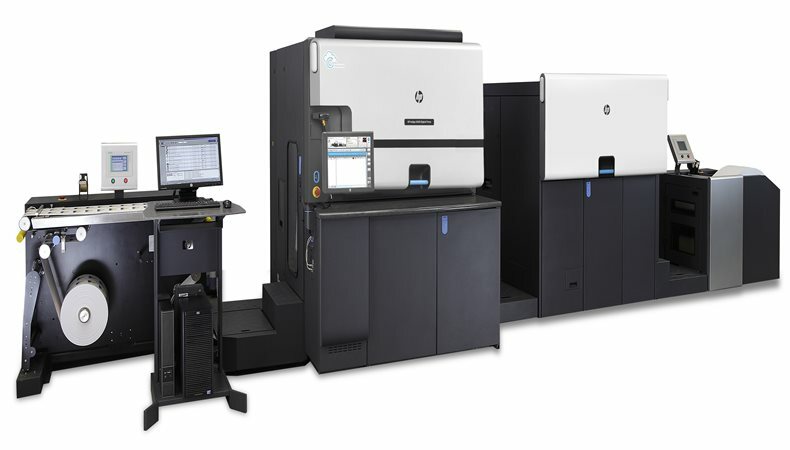 “While the two new HP Indigo 6000 Series presses will add more production flexibility and versatility, the HP Indigo 20000 significantly increases our volume capacity and progression in terms of overall efficiency and productivity, thanks to its 760mm wide-web,” Barthel said. Barthel went on to say that Barthel Group is not one to rest on its laurels and is already planning its next investment, despite having only just signed off on the triple HP Indigo purchase. Industry members keen to find out more about HP and its wide range of digital print solutions can visit the manufacturer’s stand at the FESPA Global Print Expo 2019, which runs from May 14-17 in Munich. Please use promo code FESG902 to register for free.